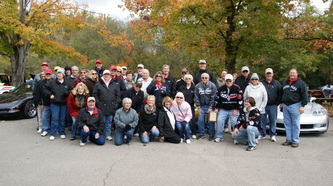 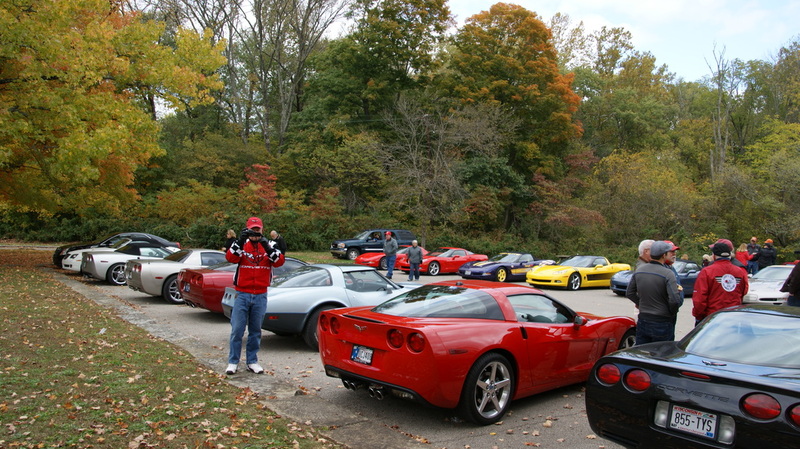 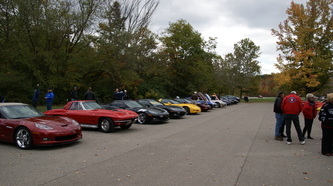 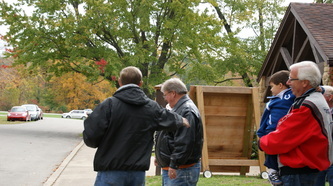 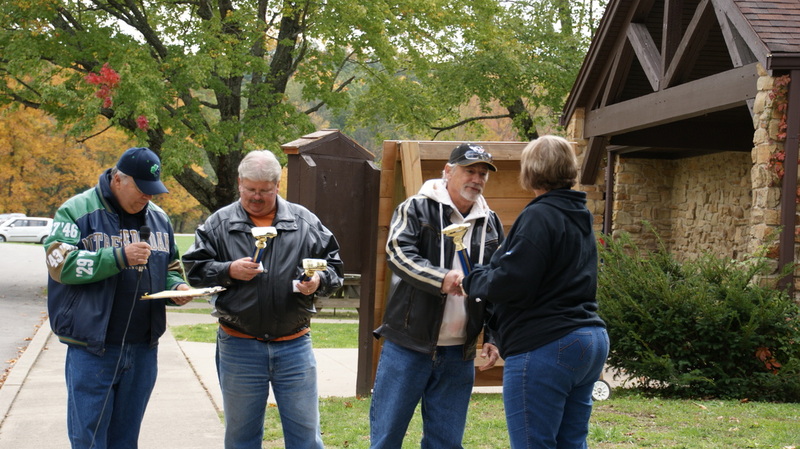 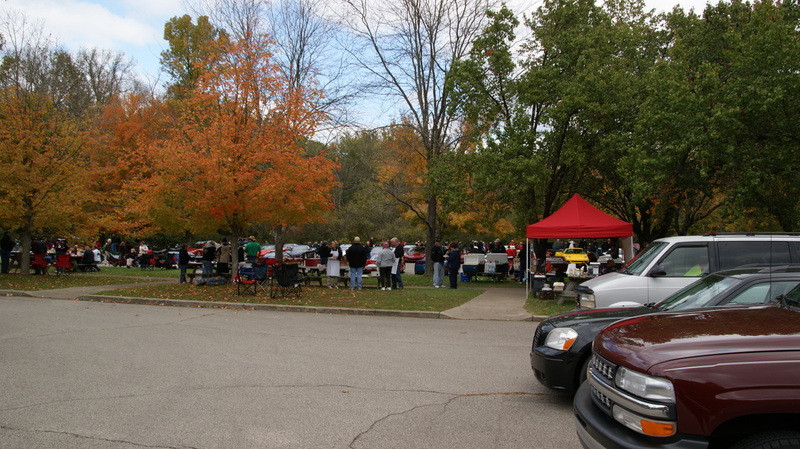 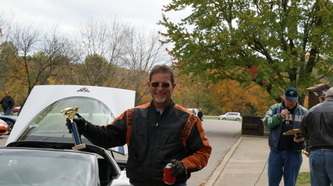 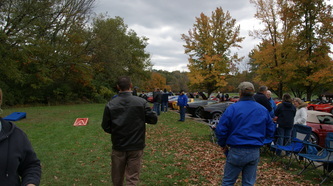 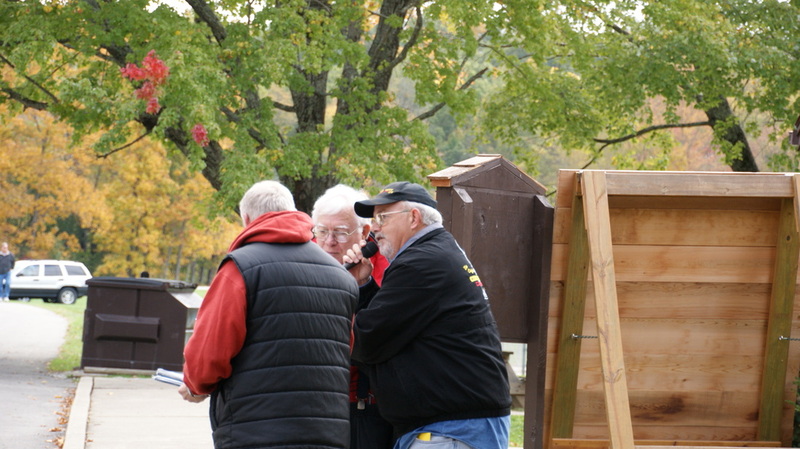 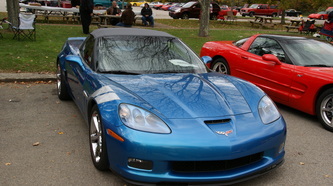 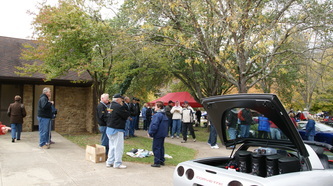 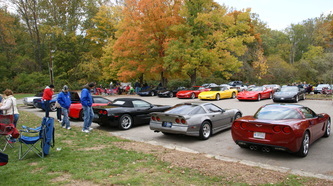 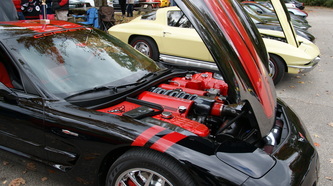 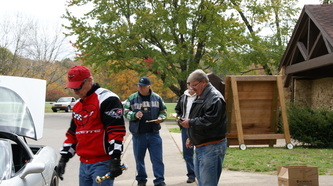 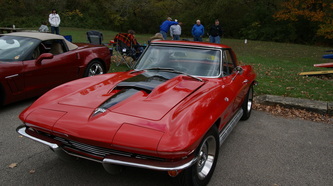 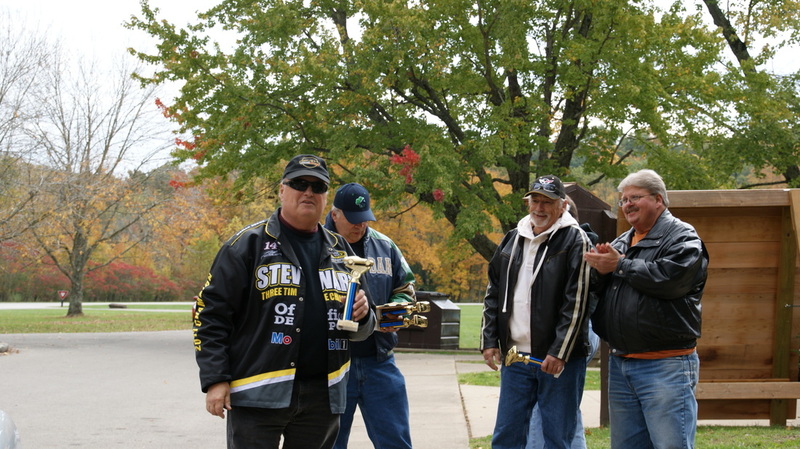 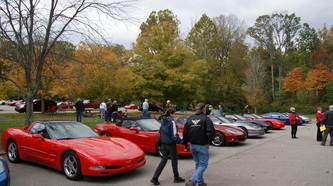 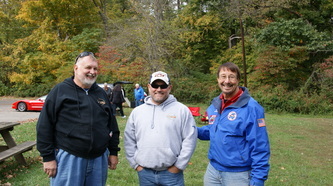 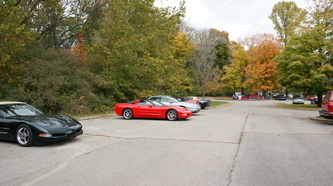 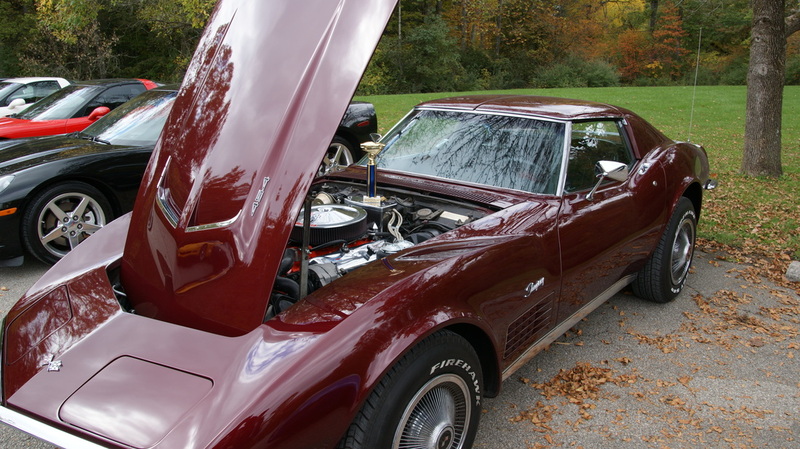 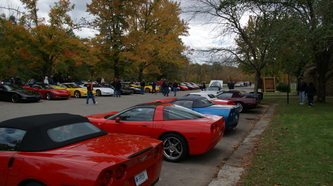 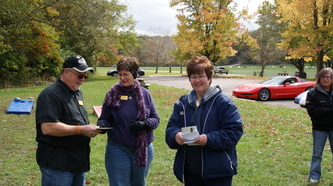 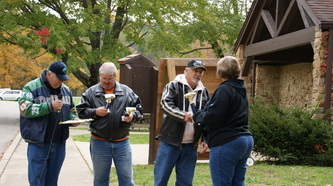 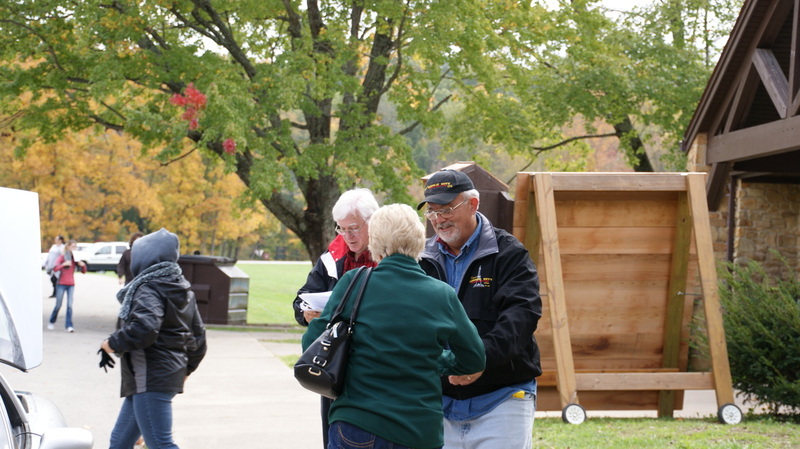 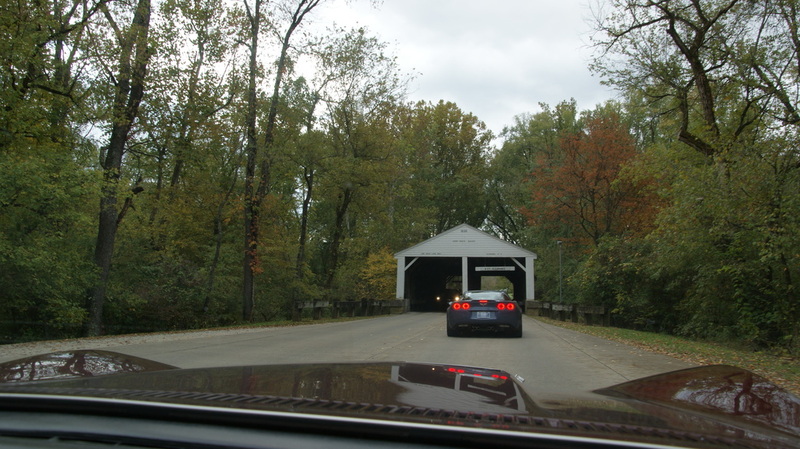 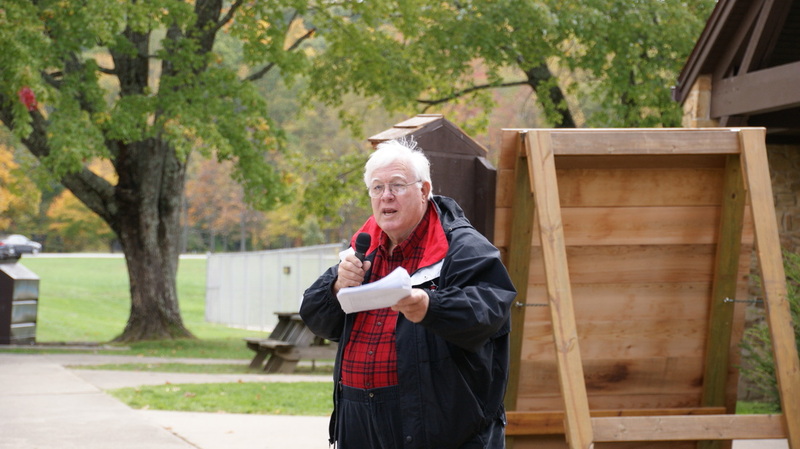 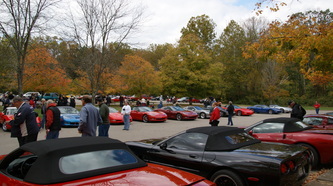 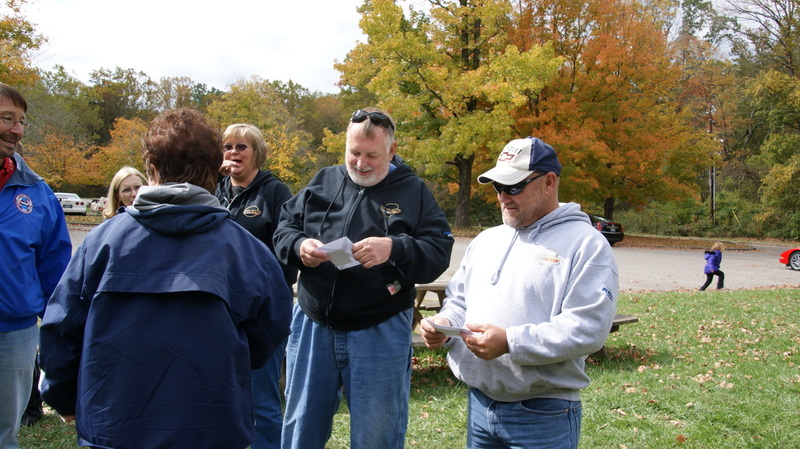 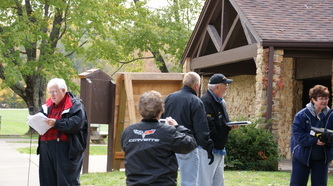 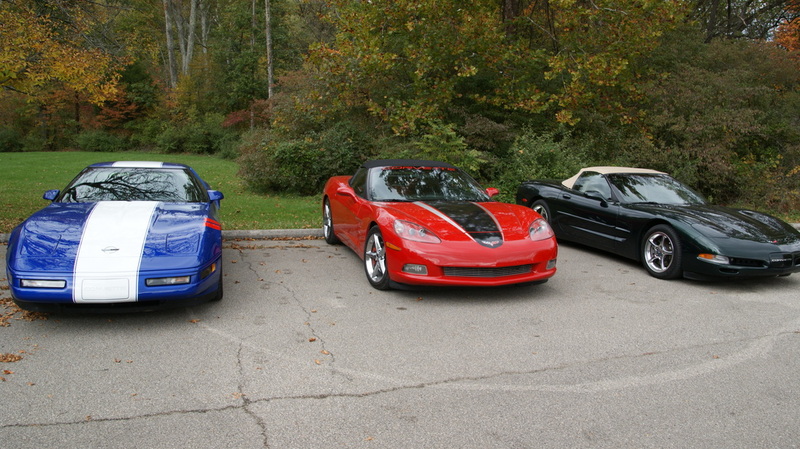 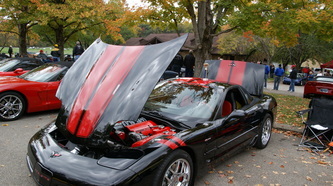 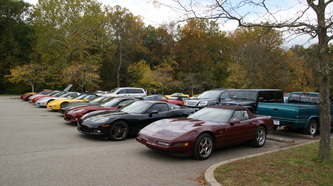 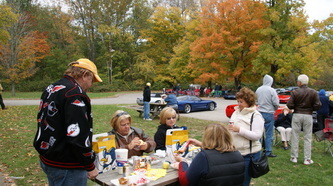 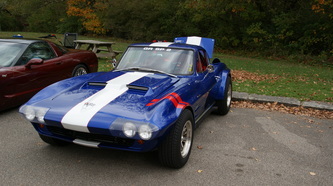 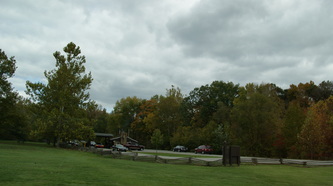 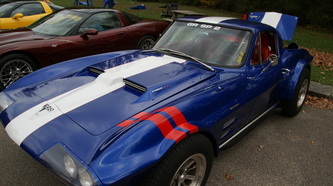 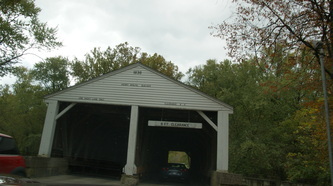 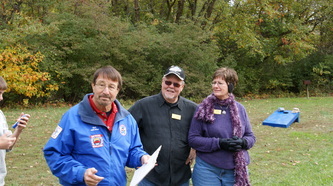 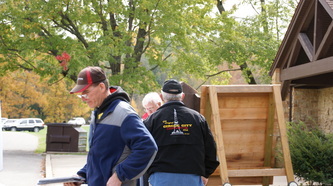 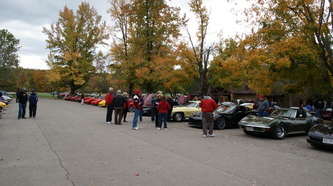 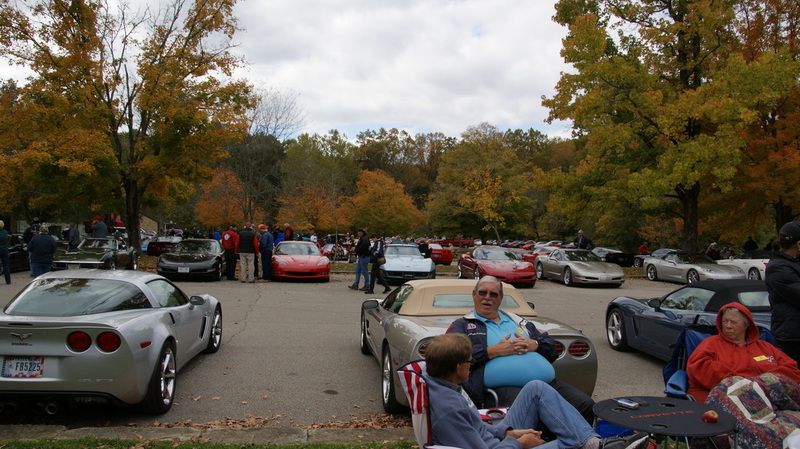 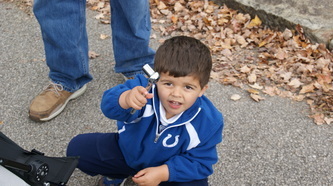 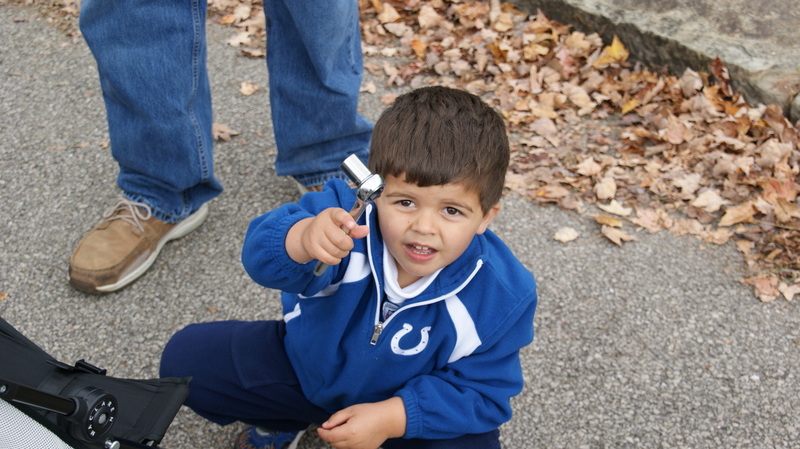 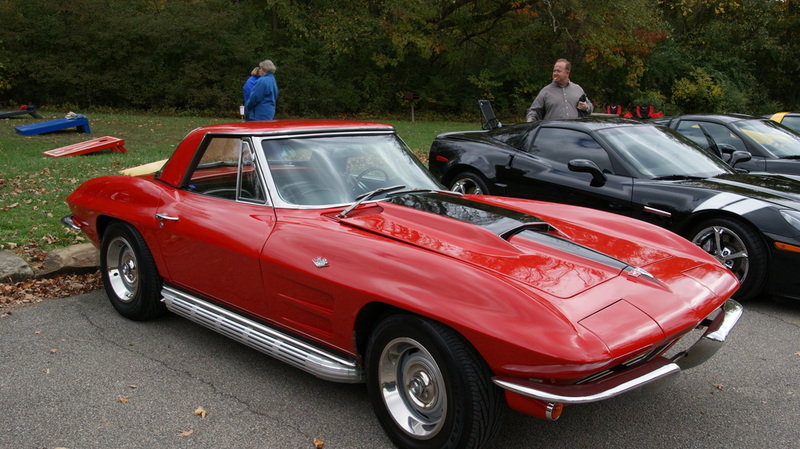 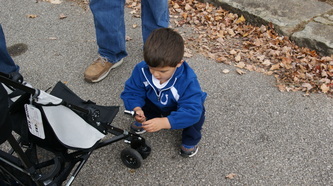 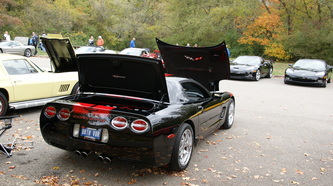 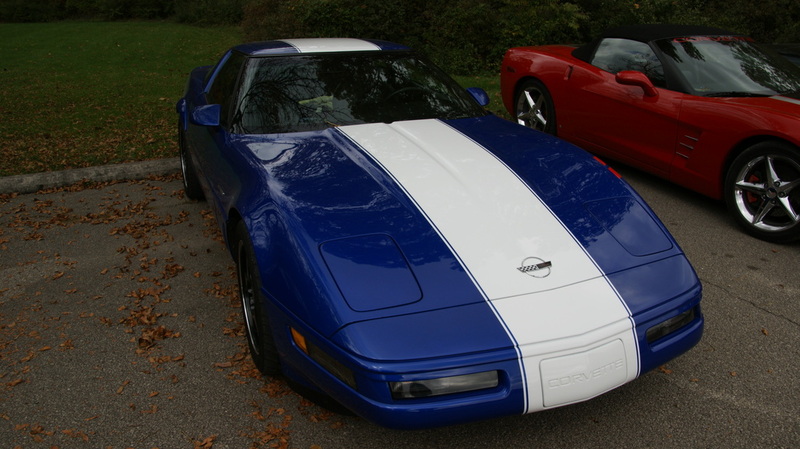 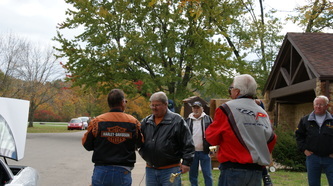 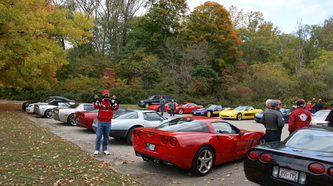 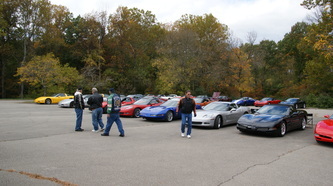 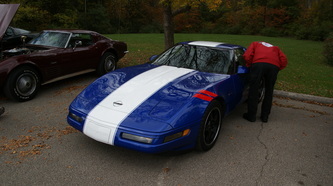 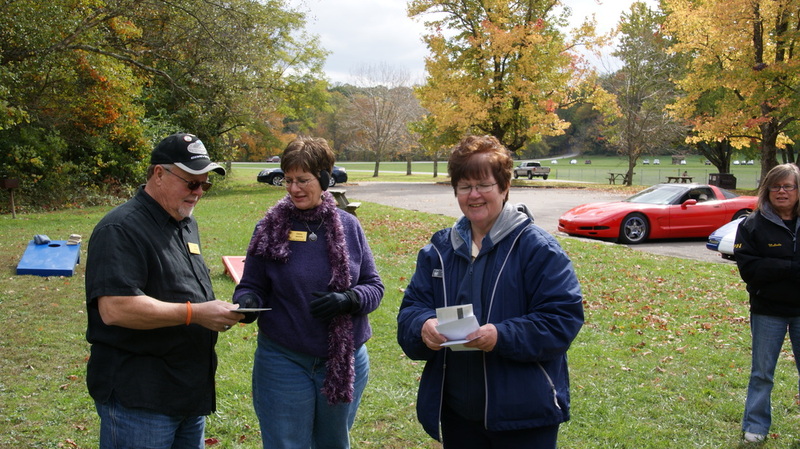 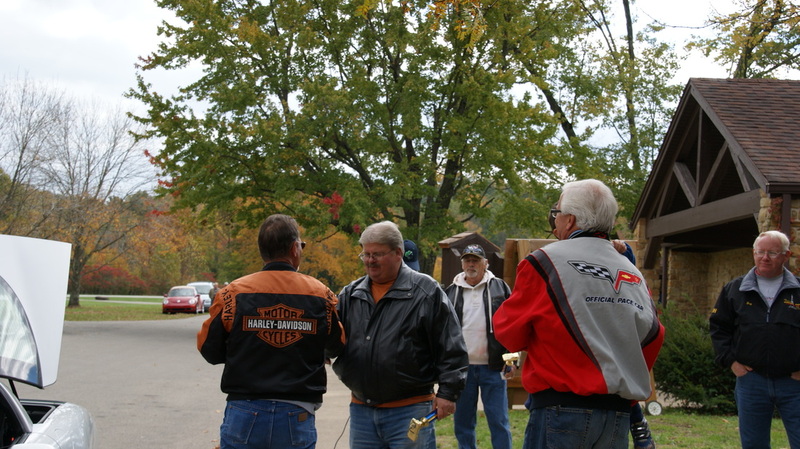 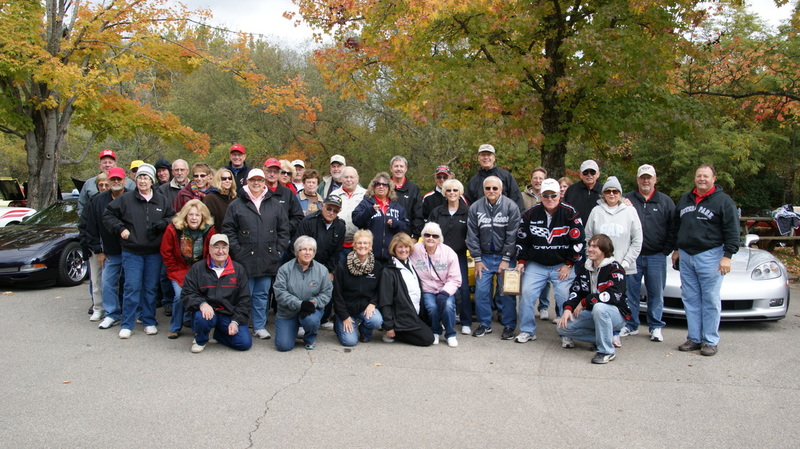 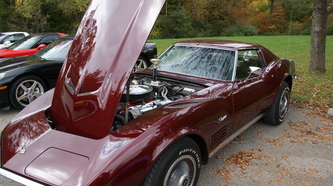 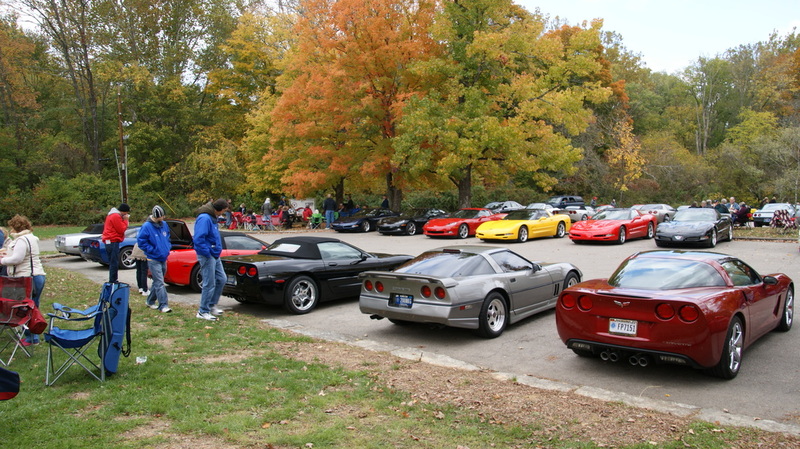 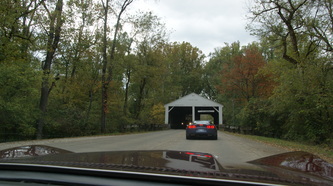 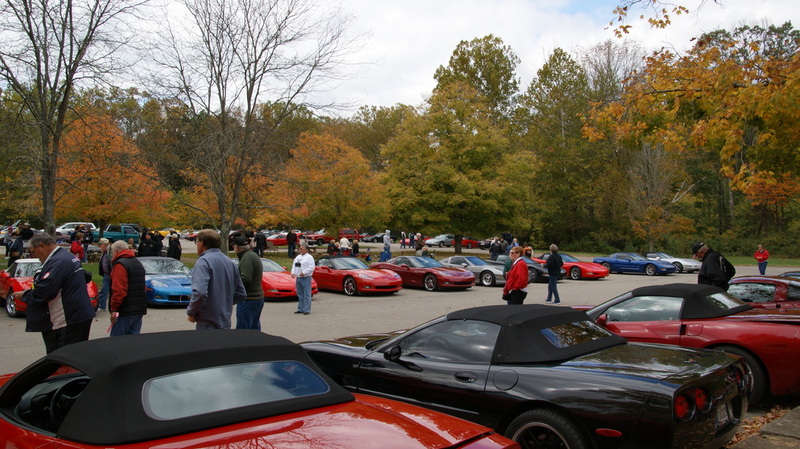 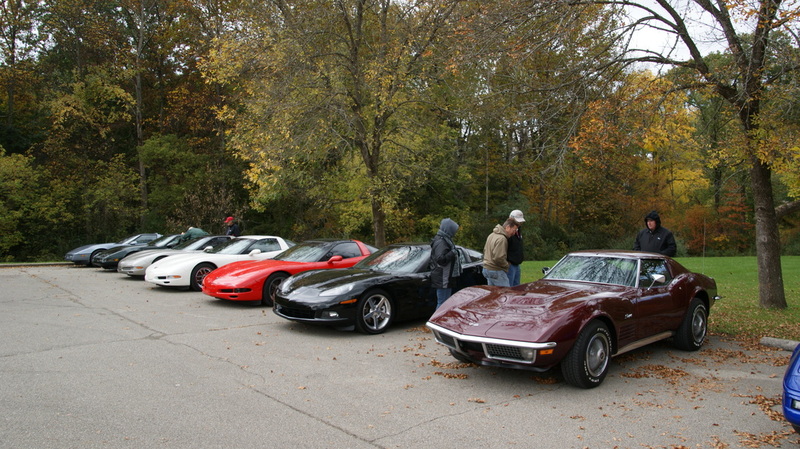 This year's Indiana Region sponsored All Indiana Corvette Day at Brown County was on October 7. 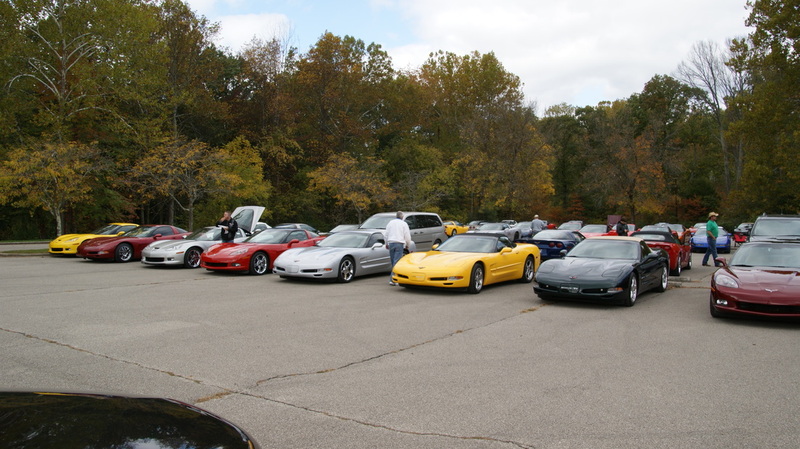 It was a rather cool and overcast day, but that did not stop a parking lot full of Corvettes making the trip to the park. 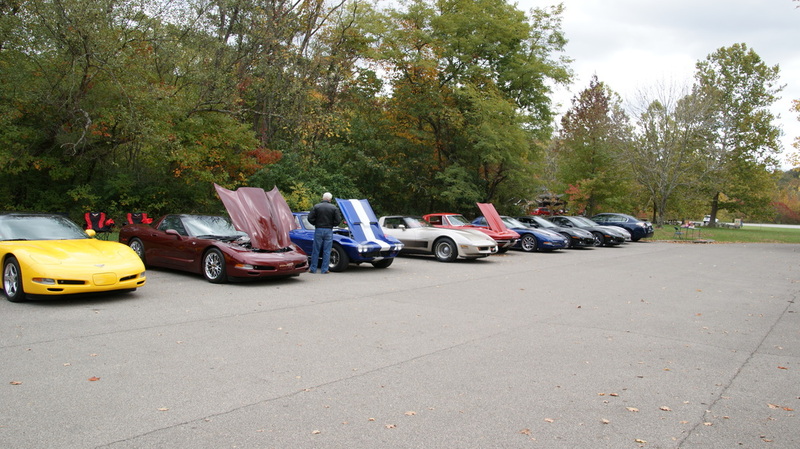 The day is hosted by the Original Circle City Corvette Club, who prepare and cook the food that the Region supplies free to NCCC members and inexpensively to non NCCC members,. 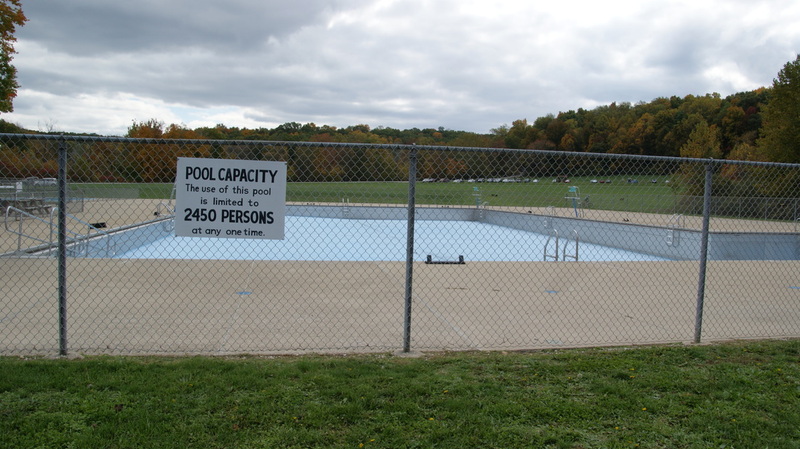 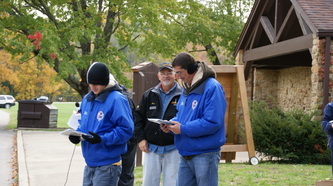 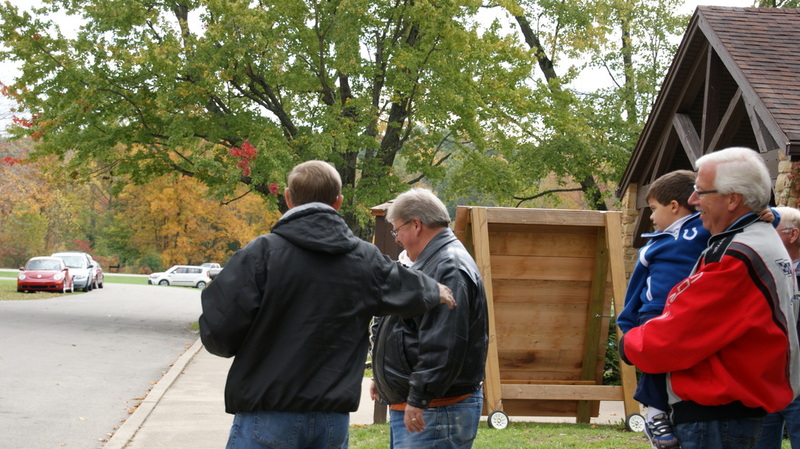 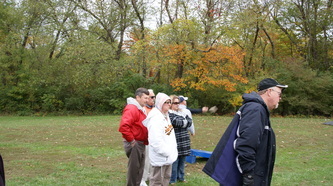 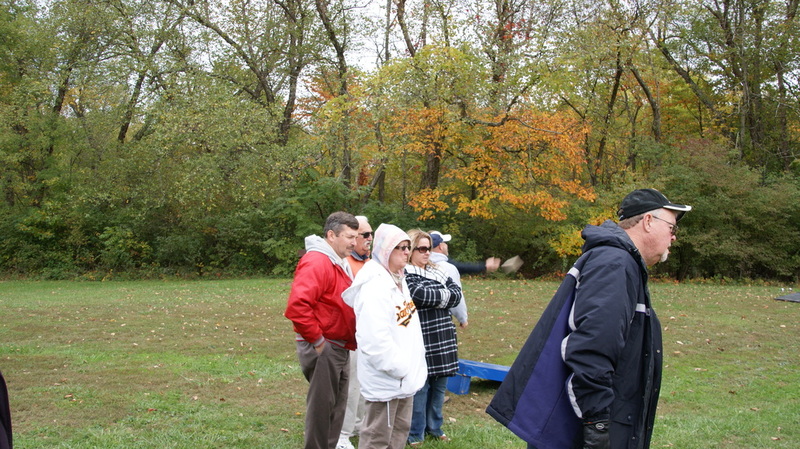 The club, along with other NCCC clubs in the region, also oversees the games and activities that make up the day. The Original Circle City Club also runs the poker rally that starts at Southern Plaza in Indianapolis, This year's event also included the ever popular bean bag toss and new for this year there was a car show with trophies for each Corvette generation. 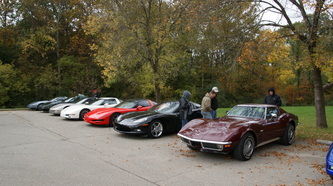 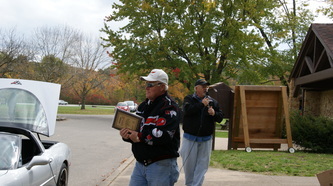 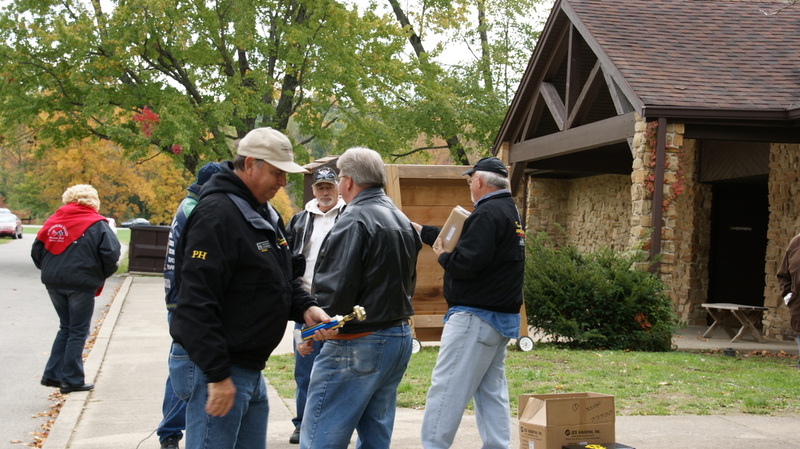 The Original Circle City Corvette Club donates prizes for the poker rally that kicks off the event. 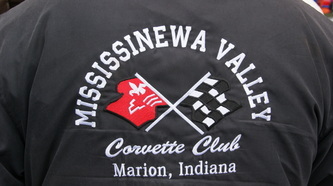 Corvette Indy Corvette Club donated trophies for the car show. 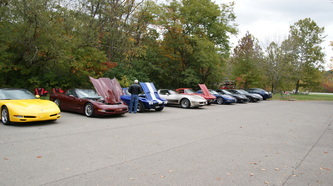 Circle City Corvette Club donated the door prizes. 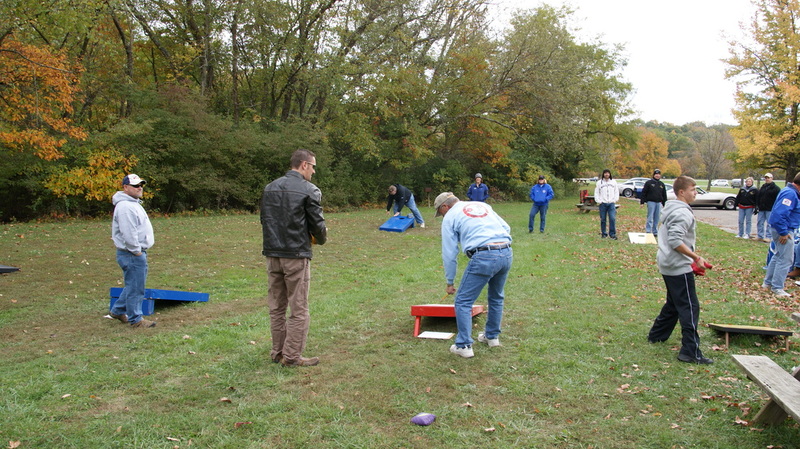 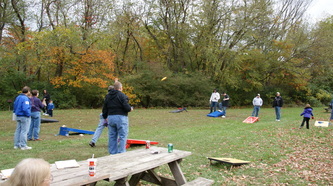 For the bean bag toss the Original Circle City club donated the prizes which were $50 MidAmerica gift certificates for each of the two first place winners and $20 cash for each of the two second place winners. The plaque given for best club participation went to Mississinewa Valley Corvette Club from Marion with over 50 members there.